For the uninitiated, a brief plot summary is in order. Walter White was a high school chemistry teacher who learns he has terminal cancer, and turns his intelligence to cooking crystal meth in order to make money to leave to his family. Walter proceeds to make more and more moral compromises, even as his success grows. At the story's end, he’s a shell of his former self, a destructive force that, Corleone-like, brings down everyone he once held dear. A cheery show this was not, but as with Shakespearean tragedy, we watch because it can often be cathartic, in the Greek sense of the term. Purifying. White’s slow descent into chaos and destruction clarifies our understanding of the moral world we live in. First among these truths is that we can’t live a double life for long. One of the dramatic tensions in the early seasons was Walter’s attempts to keep his activities from his family. But this deception at the beginning is the basis for the destruction at the end. The tangled webs Walter weaves become his own living hell. Maintaining them, like his business, requires more moral obfuscation and degeneracy. The other duplicity is telling himself he was doing everything for his family. The opposite of this, in the spiritual life, is called “integration” or maturity or transparency. Jesus says, upon seeing Nathaniel, a future apostle: “Here is a true child of Israel. There is no duplicity in him.” (Jn 1:47). What we do in the dark should be consistent with what we do in the light. There should be less “acting” in our lives, and more WYSIWYG (what you see is what you get). It’s a journey that can take time, to be sure, but by keeping transparency a personal goal, many other virtues may flow in its wake. Every man who begets a free act projects his personality into the infinite. If he gives a poor man a penny grudgingly, that penny pierces the poor man’s hand, falls, pierces the earth, bores holes in suns, crosses the firmament and compromises the universe. If he begets an impure act, he perhaps darkens thousands of hearts whom he does not know, who are mysteriously linked to him, and who need this man to be pure as a traveller dying of thirst needs the Gospel’s draught of water. In Breaking Bad, when Walter can no longer maintain the charade with his wife Skyler, she becomes complicit in the enterprise, and despises him for it. 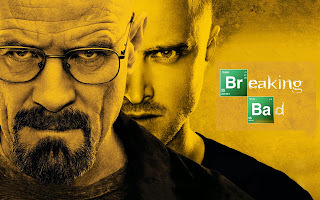 His son, Walter, Jr., worships him until the final episodes, when he too finds out, and reacts with the most extreme bitterness. We have the sense that the anger everyone feels is not because Walter was a sinner or a broken man who had broken the law. The betrayal is over the long-standing and ongoing duplicity, his denial that he is addicted to power and empire building, while pretending to be altruistic and clinging to the fiction that all he ever wanted was the good of his family. In the final episode – and this must count as a spoiler alert – there is both justice and mercy written into the series’ resolution. He is a fugitive of the law, his cancer is claiming him with a vengeance, and he is now estranged from his family. His relationship with Skyler is shattered beyond repair, but she gives him five minutes. Then he gives her, and with her, all of us, the one thing necessary: the truth he's been denying for five seasons. I did it for me. I liked it. I was good at it. And I was …really…I was alive. It’s a confessional moment, feeble perhaps, but a moment of light nonetheless, and its confessional power affects all that follows. Walter is too far-gone to forgo his own impulse of meting out retributive justice against his enemies. But there are notes in the destruction that now speak of atonement. As he destroys the neo-Nazi “brotherhood” which had taken over his drug production, he dismisses an offer to learn where the millions they stole from him are stashed. We sense that he has risen beyond the compulsive devotion to his former idol. He also changes his mind – we cannot be sure when – about killing Jesse, his former protégé who ratted him out, and then, unexpectedly, Walt lays down his life for him. There is a strong hint of the presence of Christ in the spiritually and physically broken Walter White, who has fallen so far from any baptismal innocence, and is stained by the blood of so many. Yet while covering Jesse’s body during the terrible tsunami of bullets and mayhem, Walter is pierced in his side, and it’s this wound that ultimately ends his life. Blood is now an intentional motif, and it appears everywhere. Afterwards, he wanders over to the meth-making machinery in the Aryans' lab and places a hand on a tank. The camera lingers on the bloodstain that is left, and then Walter’s soul leaves his body. Breaking Bad may be a morality tale about the corrosive effect of moral compromise. But it is also about mercy. A terrible mercy, only seen in the dying moments of this show. But a reminder to us that wherever sin abounds, grace too finds its way. There is no dark corner of hell into which Christ has not already descended and redeemed by his blood. Very well put, John. I agree with you most of the way, but see the very ending of the finale (entitled "Felina", incorporating an anagram with an allusion to the song "Feleena" about a girl from New Mexico who runs off to a life of prostitution and a tragic end) in a somewhat more negative light. Morally, that is; as an ending to the show I thought it was perfect. I do agree that there are notes in the ending that are almost redemptive. Ultimately, though, the most it offers us is not redemption, but only a greater level of self-awareness, shown in that key exchange with Skyler. It's true that Walt opts, almost instinctively, to protect Jesse at the end, in a continuation of the father-son / teacher-student relationship that was central to the show. And it is true that this brings about his own death. But at the very end, Walt is left alone with what he now acknowledges as his true love. You can see it on his face as he caresses the machinery in the meth lab. He has been entirely consumed by his (warped) "love" of what Vince Gilligan called, in Lord of the Rings terms, his "precious." As Gilligan noted, this is reinforced by the end credits song, "Baby Blue": the refrain "The special love I have for you, My baby blue" alludes to Walt's signature blue-coloured crystal meth. (As an interesting side note, the career of the band performing this song, Badfinger, also illustrates some broad themes of the show. They worked hard and had some hits, but never saw much by way of the attendant material rewards, which were all consumed by legal disputes. Two of the band members ultimately committed suicide.) Throughout the series Walt has destroyed all of his relationships to pursue this one thing that he loved and was really good at it. True to form, he dies alone, with only his meth lab to comfort him, and the hint of a smile on his face. Agreed - I think the difference between our perspectives is slight. Ultimately, though, I don't see this as a story of redemption. Whereas in the Lord of the Rings, for example, the overwhelming thematic and moral arc is uplifting - self sacrifice, the redemption of even the vilest creature, the turning of evil purposes to good ends - here that arc has run relentlessly downwards. The series essentially ends with Gollum dying alone in the cave, clutching his precious, having successfully fought off those who would steal it from him, and therefore never needing to leave. Walt's moral collapse (which, as John Doyle argues, represents also the moral vacuity of contemporary capitalism http://www.theglobeandmail.com/arts/television/breaking-bad-a-savage-attack-on-american-capitalism/article14508135/#dashboard/follows/) is so severe, so hard to watch, that the viewer is left grateful for these small pin-pricks of light, as you aptly name them. And I was. I was grateful that Walt didn't shoot Jesse (which shows how low our moral expectations of him had become!) I was grateful that he (finally) admitted that he had done it all for himself, not for his family. Self-awareness is undoubtedly the first step in recovery. But he hasn't yet reached the first step in AA; he didn't admit that this was a problem and had made his life unmanageable. All he's really done is admit that he's an addict because he loves to drink, and he dies alone with a bottle in his hand and a smile on his face.